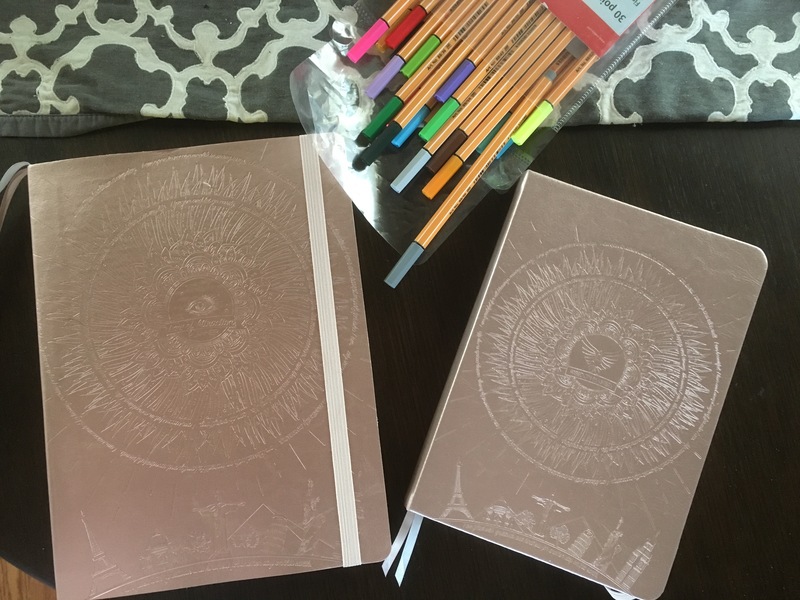 Earlier this year, the lovely people over at Freedom Mastery reached out to see if I would be interested in reviewing a couple of their planners. Being the nerd that I am, and knowing that I had a bazillion and one doctor appointments on the horizon, I happily agreed. They sent me both the Dated Deluxe Planner in Rose Gold B5 size and the new 90 Day Planner also in Rose Gold. Upon receiving the box I was impressed with the quality of the planners right off the bat. The paper is thick, the binding is sturdy and the covers are luxuriously soft. The rose gold color is also super pretty. The next thing that caught my attention was the fact that each planner came with a few page of stickers! Yessss, girl, yes! I love me some stickers in my planner. Both have a Law of Attraction Roadmap in the front of the planner with steps you can take to maximize the efficiency of the planner. There are areas for Life Goals as well as smaller yearly, monthly and daily goals. Again, all are noble but was a little overwhelming for me at this point in my life. 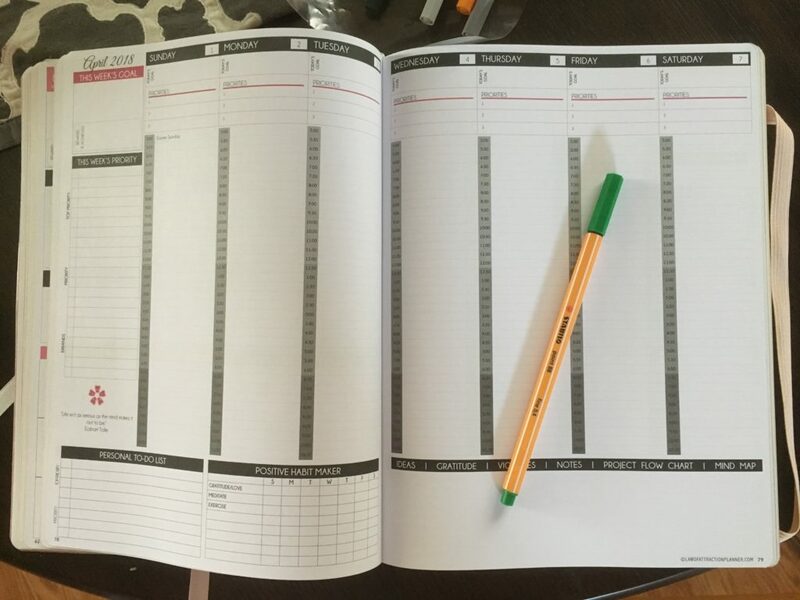 I liked the size of the 90 day planner, but didn’t quite vibe with the layout. 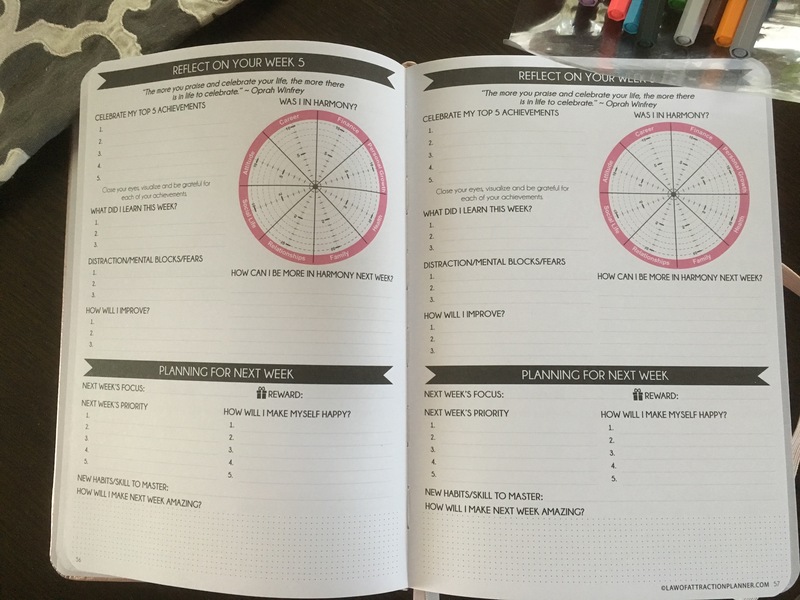 The planner is undated is to be used weekly. While the intention behind it is great and might work for some, it’s not what I was looking for in a planner. The Deluxe was much more to my liking. Each month has a monthly overview with spots for intentions, goals, actions and notes/ideas. Following is a weekly spread for each week in the month. These are vertical in orientation and have time slots. There’s a spot for your weekly priorities, to-do list and habit tracker. While I enjoy the vertical layout, I’m not the biggest fan of the time slots. However, you could get super creative and cover the times with washi and decorate with super cute stickers. I just don’t have the energy for all of that right now. I do like that each day has it’s own spot for priorities – this was something that I used regularly – be it for food scheduling or to write what I absolutely had to get done that day. At the end of each month there is a section for reflection. There are questions that prompt you to think about the obstacles you faced that month as well as what you learned. This is great for those who are into that sort of thing. Again, this isn’t for me. Finally, there are a few blank pages with dots (kind of like a bullet journal) for your ideas and notes. I really enjoyed this part of the planner. Overall, I really enjoyed the quality of the planners. They are very well made and feel extra luxurious. The paper quality is on point as is the binding. I love the color scheme inside the planner and as well as the color choices for the outside. I also love the stickers that come with the planner. The monthly spread is versatile enough that I was able to use it for my needs. I wasn’t the biggest fan of the times on the weekly spread, but with some creativity, that wouldn’t be an issue in future months. I also would have preferred the A5 size to the B2, but you never really know until you start using it. I do recommend this planner to anyone who is looking to do some self reflection – I think it’s a great tool for that. 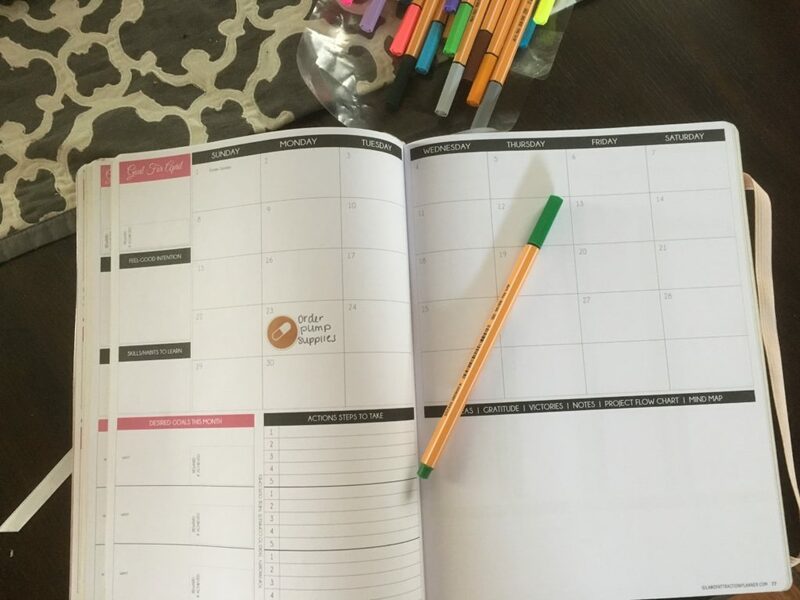 If you’re just wanting to plan, it’s one of the best made planners I’ve ever encountered – you might just have to get creative with the layouts, but hey, there’s nothing wrong with that! I will continue to use my rose gold deluxe planner throughout the rest of the year. If you’re interested in purchasing your own, Freedom Mastery has given me a coupon code to share with all of you! Click here and enter LOA15OFF at check out!